Sorry I realize that I never finished my Ireland miracles. I’ll just schedule these stories in once in a while. Better late than never right? For the first month in Ireland, we solely relied on public transportation which was mainly double decker busses and the Dart which is a fast train. Dallin studied at the University College Dublin and we lived in Dun Laoghaire. It was about 45 minutes by bus but only a 15 minute drive. The bus system was fantastic and there really wasn’t much to complain about except for the fact that Dallin took 1.5 to 2 hours or more commuting everyday depending on traffic. We felt like the Spirit was telling us we should buy a car. We researched it out and miraculously found an old Nissan Almera (aka Nissan Centra in the USA) for 1000 euros. We registered it and bought insurance from Liberty Mutual Insurance which was the cheapest insurance we found. Buying a car was easier than we thought it would be and it eventually ended up saving us money even though the gas tax in Ireland is like 50%. Driving in Dublin, Ireland is super fun… well kinda. So you drive on the left hand side of the road and the roads are very narrow. Parking is pretty much just parallel parking. You have to get really good at parallel parking. You can use your native driver license for one year before you need to get an Irish license. We took this old cheap car to every shore of Ireland and Northern Ireland. We drove this car from Dublin to Giants Cosway in Northern Ireland. Then to Cork, Cliffs of Moher, Dingle and the Ring of Kerry. Fortunately the only problem we had with the car was the windshield wipers and a mechanic in Cork fixed it for 10 euro. On one of our last adventures in Ireland, we were driving to the Blarney Castle in Cork. A local guy rear ended our car and made a dent in the back bumper. The insurance company said that the car was totaled. They let us keep the dented car and gave us 1000 Euro. So in essence we got this car for free. 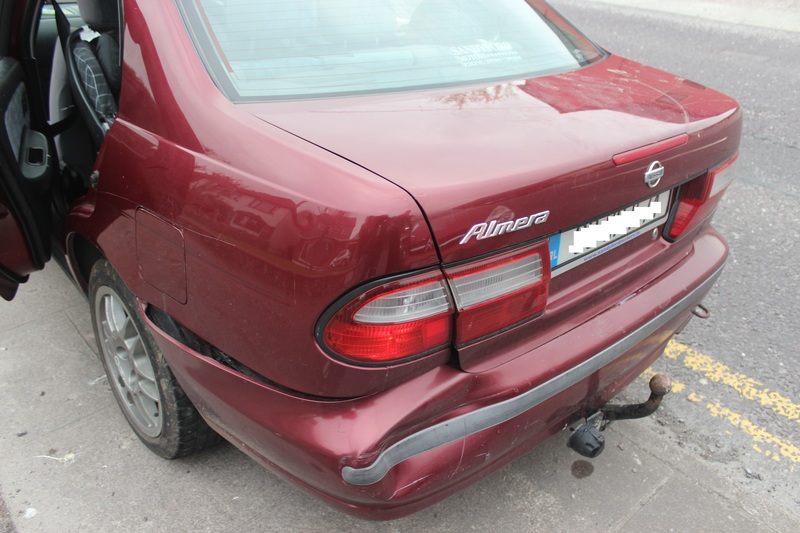 This is what the bumper looked like and if you look around on the streets of Ireland…everyone has the same dent in their car because the roads are so narrow! We thought purchasing this car was a tender mercy of the Lord. We drove this car everywhere. We drove it to church and drove the Dublin area missionaries to their visits. Dallin used this car to go home teaching and we used this car to drive to the hospital when we had the baby. We ended up giving the car away to a friend and then he was able to use the car for a few weeks while his car was broken. After that he ended up selling it for 200 euro. We thought we got our money’s worth out of that car. What a blessing! 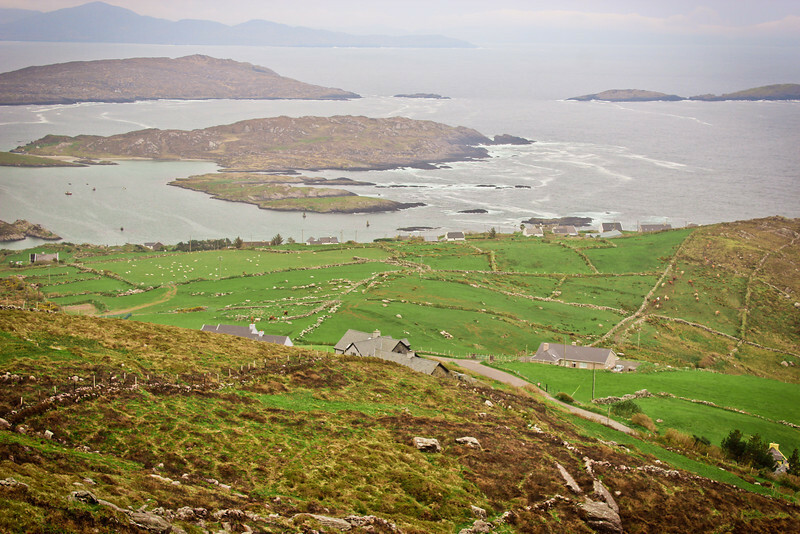 Writing about Ireland again brings tears to my eyes because I miss Ireland so much!